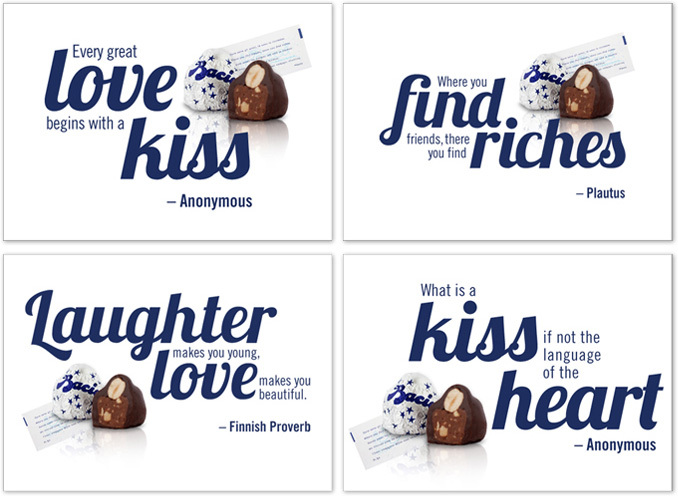 Reposition and relaunch the Perugina Baci brand in the U.S. market to gain relevance with a younger audience and increase sales. 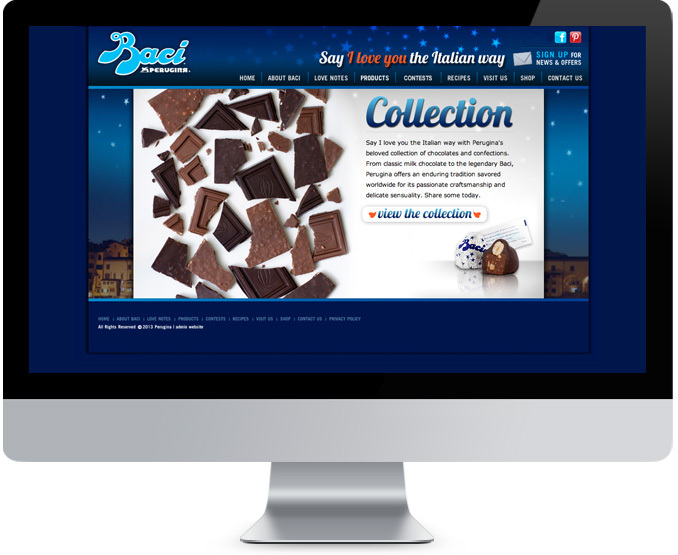 To share the history of this classic Italian confectionary company here in America, we created an online brand experience that invited consumers to get emotionally involved with every unwrapping of the iconic treat. 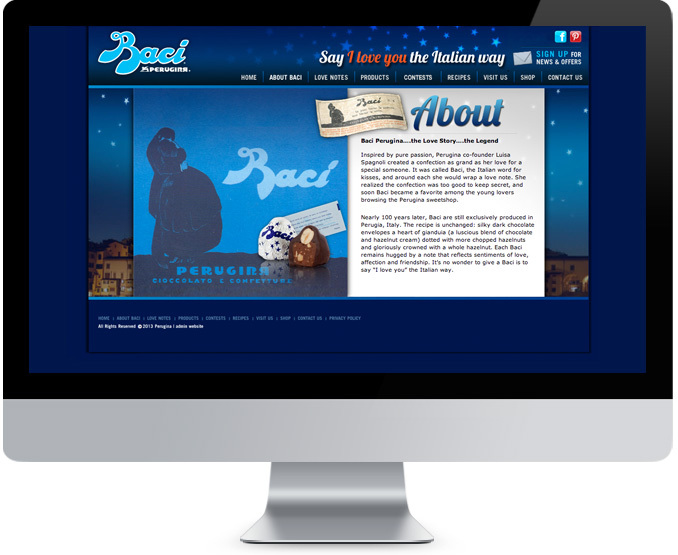 We redesigned Perugina.com to emphasize the brand’s Italian heritage and connection to romance and passion. 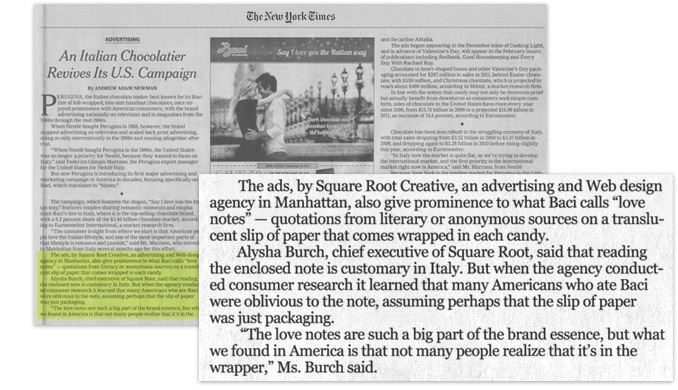 To showcase the quality and richness of the product line, we re-photographed the collection, from the inside out. 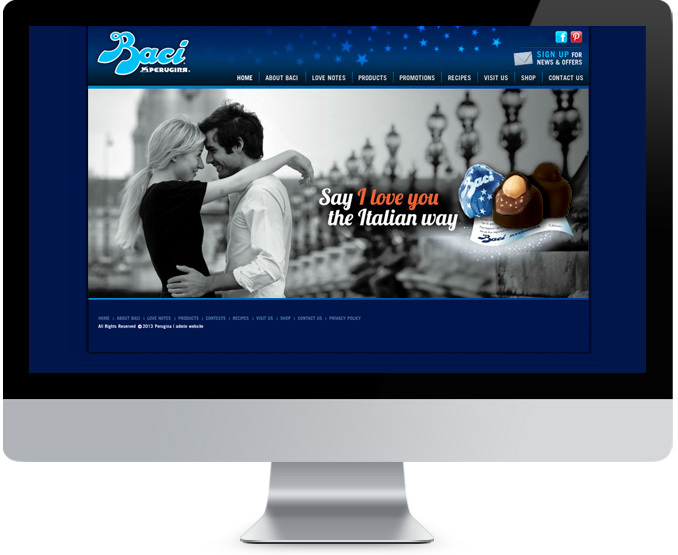 We conceptualized the idea and built the functionality for users to “Say I Love You the Italian Way” by giving them the opportunity to send personalized online love notes. 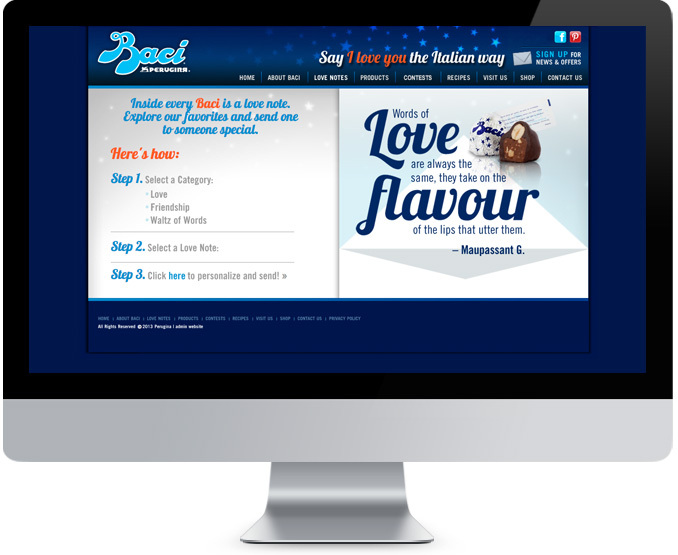 This tactic promoted viral sharing, increased site traffic, raised brand awareness and achieved our goal of introducing Baci to a new, younger group of consumers. 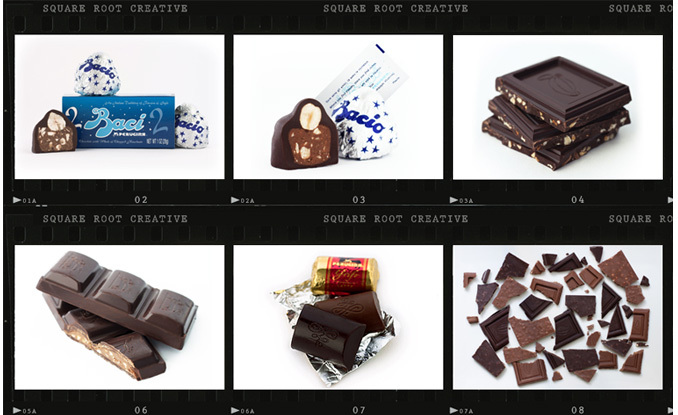 Positioning, design, copy, food styling, photography and website development.